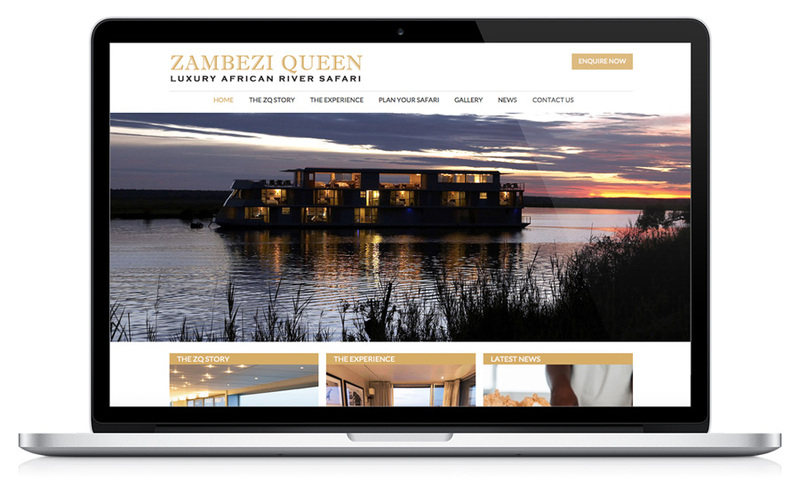 The challenge here was to translate an existing corporate identity from print catalogue to online for a new website for this luxury river safari tour provider. We incorporated the gold and black colour scheme allowing plenty of white space for a clean, bright user experience and readability. Using a flat design, devoid of borders and shadows, gives the website a catalogue feel. The spectacular images of the boat and views are given prominence with a full-width slider on each content page.